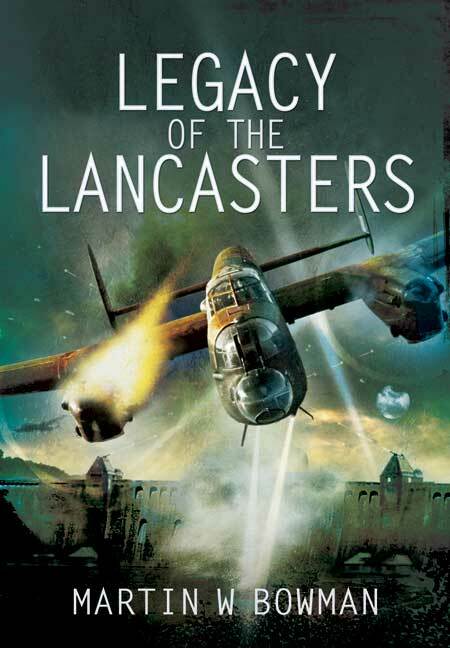 You'll be £10.00 closer to your next £10.00 credit when you purchase Legacy of the Lancasters. What's this? Young or old, everyone has heard of the Lancaster bomber. Such is the legacy handed down by this aviation icon that although it is not the most numerous aircraft ever built - two are still flying today, one in Britain and another in Canada with many proudly displayed in museums throughout the world - it is up there with the Spitfire and the Flying Fortress in terms of affection, nostalgia and lasting fame. The legendary Lancaster has bequeathed to the world an invaluable heritage beloved of generations of movie-goers, air show enthusiasts, readers of fine literature and historians alike. Exploits such as the famous low-level raid by 617 Squadron on Germany's hydro electric dams on the night of 16/17 May 1943, the nightly raids on Germany and the sinking of the Tirpitz in 1945 are all without equal. At the 50th anniversary of the raid in 1993 more than 70,000 people thronged Derwent Water to watch the BBMF Lancaster roar over the same dam that 617 practiced on shortly before the raid on 16/17 May 1943. As we approach the 70th Anniversary of the raid, such scenes will no doubt play out once again. It seems timely therefore that such a history should be recorded, charting the course of the Lancaster's career in the skies and the legacy it continues to provide for new generations of aviation enthusiasts and pilots. The text is supplemented throughout by an exciting selection of black and white images that work to evoke a real sense of the scale and majesty of this iconic aircraft. An additional colour plate section boasts a captivating range of shots, showing the aircraft in full glory. This is a valuable collection of stories, providing a moving cross-section of the experiences of the men of Bomber Command, and the horrendous level of casualties that they suffered. This is an valuable collection of stories, providing a moving cross-section of the experiences of the men of Bomber Command, and the horrendous level of casualties that they suffered. With an exciting selection of black and white and colour images, Legacy of the Lancasters evokes a real sense of the scale and majesty of this iconic aircraft. Such is the legacy of this iconic wartime aircraft. In this book, the author details some of the Lancaster's development and operational deployment (even its-on-screen appearances), all of which help explain why so many, young and old, have heard the aircraft's name.